Best place to see her latest artwork and follow her journey is on her Instagram at @JennyVyas. Jenny's artistic influences stream from music, poetry, books, artists like Shakespeare, Rothko, JR, Banksy, Alexa Meade, Andy Worhol, Jackson Pollock, Da Vinci, Salvador Dali, Georgia O'Keeffe, Gustav Klimt, and many more. In 2013, I went through what turned out to be the most significant transition of my life. All I yearned for during that period of darkness in pain was to paint. Prior to this, I had painted only once in my life in an art class during college (where I studied Graphic Design). As terrified as I was to risk it all and explore this artist journey, I did it. I began painting. The key message moulded in one of of my favorite books, “The Alchemist” is when you want something, the universe conspires in helping you achieve it. What you seek is seeking you. In that moment, all I could think of was to paint. And I strictly focused on that with an audience of one: myself. I wanted to heal through my art. Once I surrendered to this intense pull from within, this fire in my belly urging to paint, paint, and paint- it took on a life of its own. What emerged felt like something I couldn't control. It was a surreal and explosive experience. I became a conduit for something larger than "me." And what you see in my art these days is what emerged. I finally understood what poets talk about, what artists paint about, what dancers dance about, what Shakespeare wrote about. That cognitive ecstasy. Right now, I’m in that liminal space where I’m leaving behind everything that I have known about myself professionally and don't have a clear idea of where I’m heading as an artist. It is terrifying and unnerving. But if there is one thing that I have learned about myself in these past few years, it is to stay in this uncomfortable space until the noise in my head quiets down and I find clarity as clear as day when I surface from the waves of fear, ambiguity and discomfort. Today, I understand that everything that has happened in my life has been preparing me for this moment: To become an artist. Welcome to my life; the canvas for my art. I occasionally write when inspired. You can read my blog here. "Art is not supposed to change the world, to change practical things, but to change perceptions. 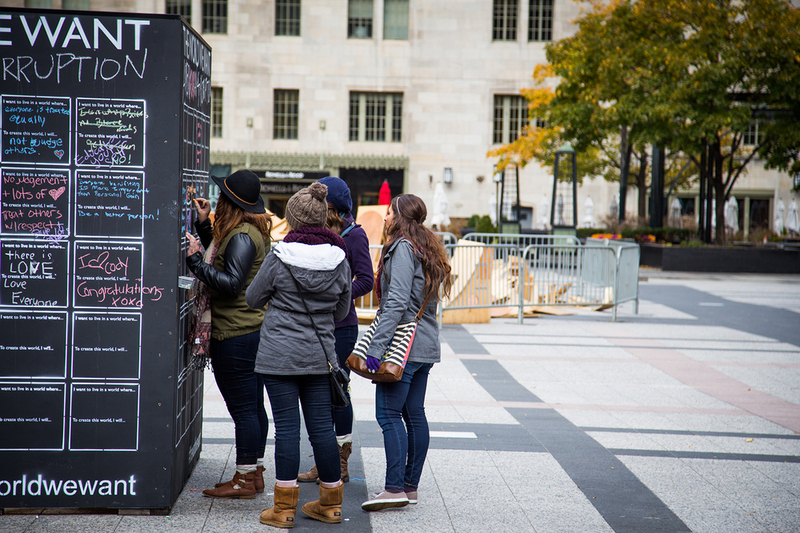 Setting up the wall at Pioneer Court! 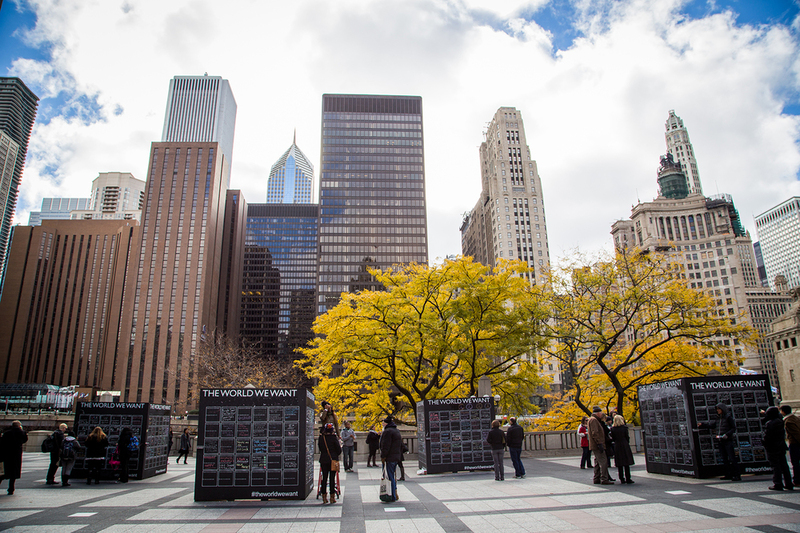 Alongside two local artists, I brought an interactive installation called, "THE WORLD WE WANT” to life in Chicago from October 31st through November 19, 2014 at Pioneer Court (401 N. Michigan Ave). 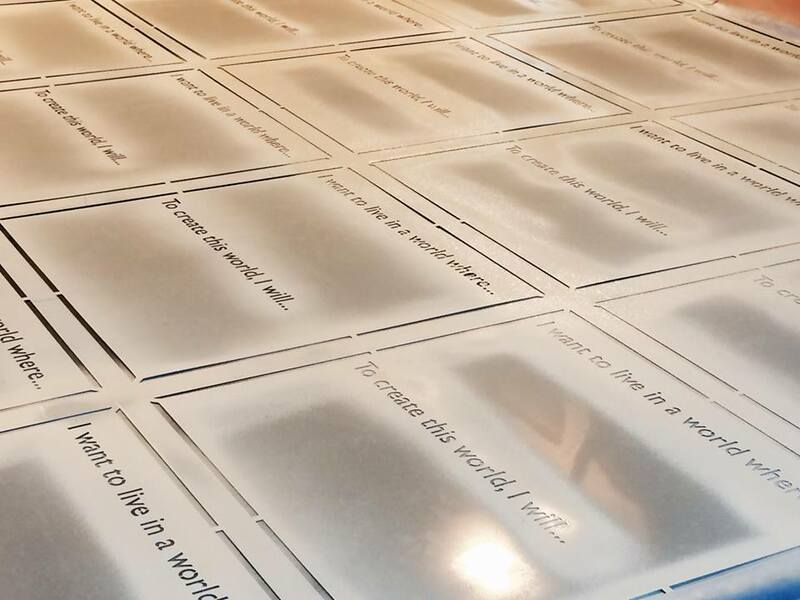 Created by Amber Rae in New York, it is a global movement dedicated to bringing self-reflection and expression to the masses. 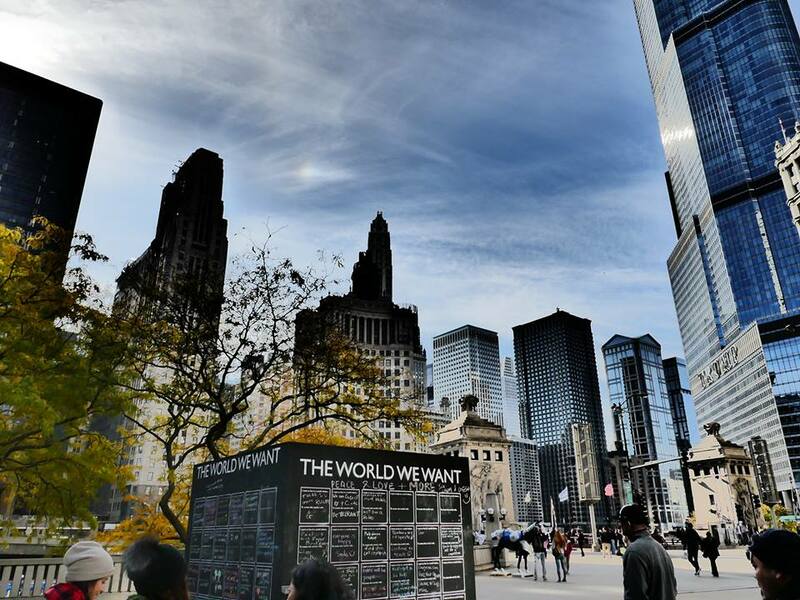 Our wall in Chicago was the first extension of the NYC wall, and has now been created globally by makers who support Amber's vision & mission behind the project. Most of my life, I’ve heard myself say, “I want to make a difference in this world.” My definition of “how to make this happen” has altered countless times over the past few decades. Today, those words define the kind of difference that starts from my heart and touches others’. That connects me to my truth within. That makes each morning sweeter and each night worth dreaming about. The kind of difference that aligns heartbeats with footsteps. Three years ago, I quit my job to pursue my dreams and in the years since, I have embraced the artist patiently waiting within me. 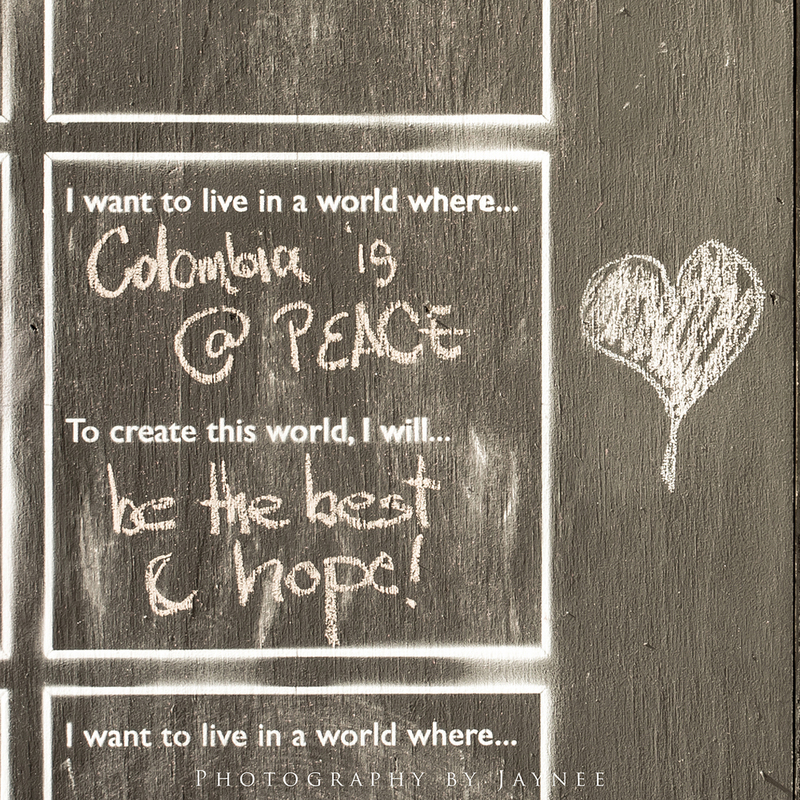 As I chose my “must” vs. my “should,” I began to recognize that I want to touch lives with my art. So I sent a love note to the universe to align me with a project that created an opening for this project and brought something to life that I truly believe focuses on shifting the paradigm in which isolation, conflict and humanity’s need “to be heard” are understood through an outlet for self-reflection, expression and connection. 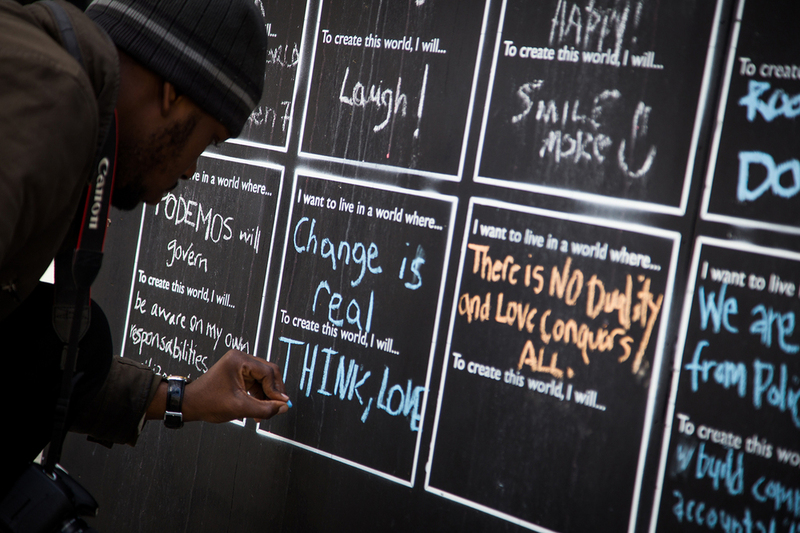 Through self-reflection and a silent conversation, THE WORLD WE WANT WALL will create a connection in people with their truth within and a connection between strangers. 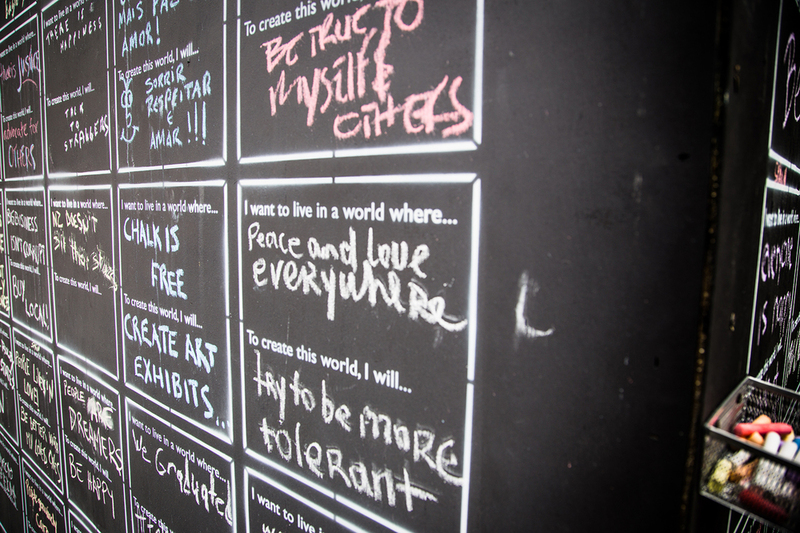 Since there is still a sense of anonymity when sharing these reflections, this wall will be a portal of honesty. Love what you’re hearing? Read how we’re creating this below! 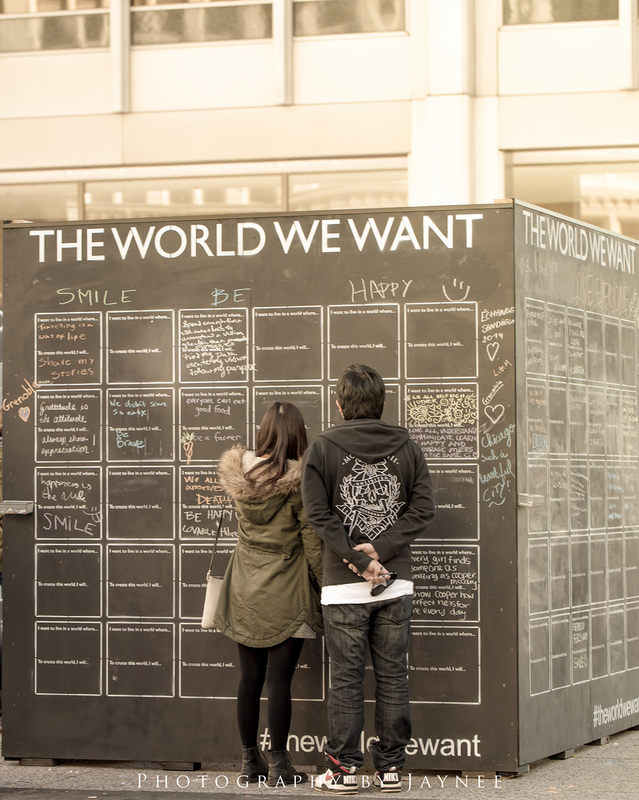 This project is about ascribing meaning to your life, your community, and the world. 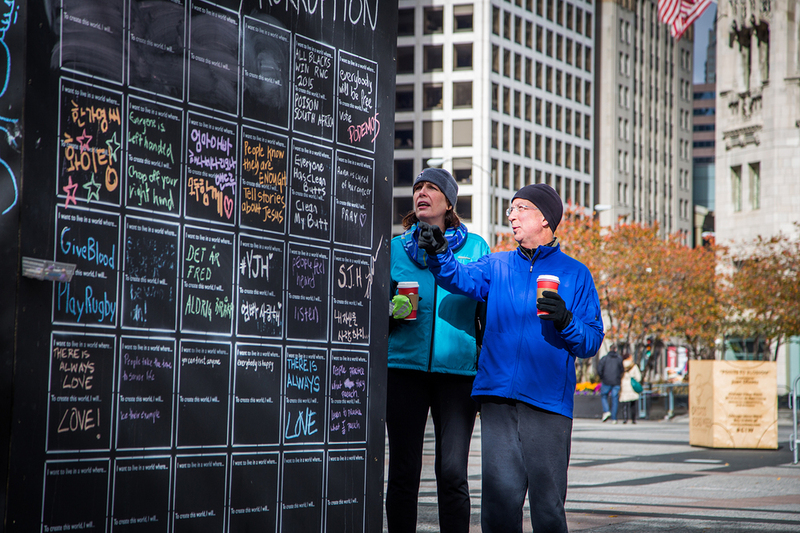 Through an interactive chalkboard in a public space, the wall exists to inspire self-reflection and nourish our well-being by connecting us both inwardly to our best selves and outwardly to the community we live within. 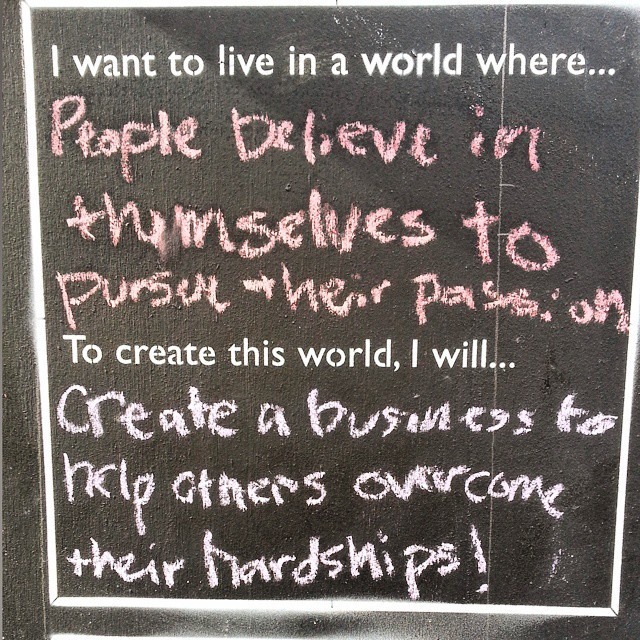 With two prompts, “I want to live in a world where” and “To create this world, I will,” anyone can come by and share their aspirations in public. The result is a cataloged conversation of our visions and our ownership in making those aspirations come to life. 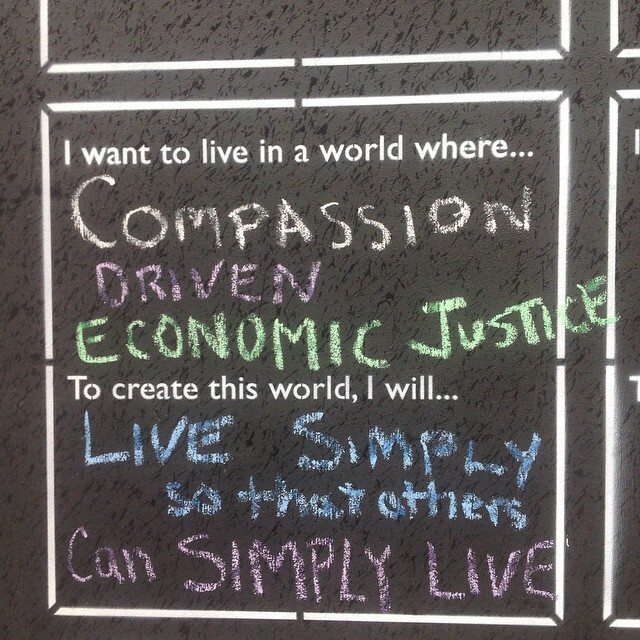 It serves as an honest reflection of the possibility and potential that exists within our community. To learn more or get involved, follow the movement at: www.TheWorldWeWant.is, ‪#‎TheWorldWeWant‬, @TheWorldWeWant.